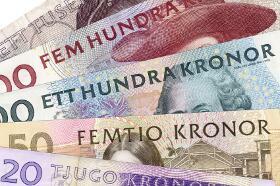 The Swedish krona rose sharply today after Sweden’s economic growth surprised the market, beating expectations. Swedish GDP rose 3.3% in the second quarter of 2018, year-on-year. While it was the same rate of growth as in the first quarter, it was noticeably faster compared to the consensus forecast of a 2.6% increase. The positive data reinforced the outlook for the nation’s central bank to raise interest rates gradually throughout the year. USD/SEK dropped from 8.8290 to 8.7691 as of 9:15 GMT today. EUR/SEK declined from 10.2957 to 10.2405. If you have any questions, comments, or opinions regarding the Swedish Krona, feel free to post them using the commentary form below.